I'm sure most people have heard about the Bible code, especially after the movie "The Da Vinci Code". This is in a lot of ways the most important code ever to be reveled. Most people don't realize that there are real codes in the bible. It was a way to reveal the teachings that were forbidden by Romans and the religious leaders of the time, and some other meanings I'm just not sure of. Here are just a few of the codes I found. At a time when the doctrines and teachings of Nazareth had become heresy and all of their sacred text was being destroyed. 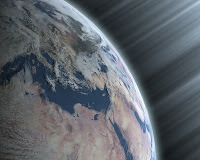 Jesus who was a Nazarene was spreading the knowledge of science and creation. Teaching to masses the difference between real science and superstitions derived from myths and lore. The Romans and other religious leaders of course would never aloud this to happen, superstition was used in order the keep the wealth and power in the hands of the elite. So they killed Jesus just like they would kill anyone who went against the word of the king. But was it really Jesus who they killed? So how was this knowledge of science going to be passed on? Through code in the Bible. The Nazarene called themselves, "Children of Light" and "Luke" means "Light." When Luke wrote the Gospel and the Acts of the Apostles, he also embedded a code that has now changed the way the Bible is being read today. Scientific facts interlaced with the same superstitious story's that Jesus was trying to debunk. Today's Christians don't realize that their actually practicing a corrupted form of the neo-Pythagorean philosophy apposed by Jesus the Nazarene. 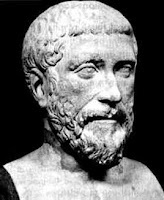 Luke had left his coded messages in the most unexpected places in order for his writings to be approved by these powerful leaders, and was able to do this through his knowledge of Pythagorean science and sacred numbers. Once all the books were collected, the Bible had now become a Trojan Horse full of science and mathematics. (5) that all brothers of the order should observe strict loyalty and secrecy. The Number 4,320 holds great significances in history and comes up in all types of mythological accounts and sacred architectures throughout the world. -4,320 is the number of years required for the equinoctial sun to complete a shift of 6 degrees. -In the Mayan long count calendar 1 kantun = 72,000 days, 6 kantuns = 432,000, 6 kantuns was used as a specific block of time. -25,920 is the number years it takes to complete a full earth cycle through the 12 night skies of the zodiac, being the axis wobble that causes the precession of the equinoxes. Divide this number by 60, the number that best defines "time" also known as the ancient "soss," and you arrive at the number of 432. 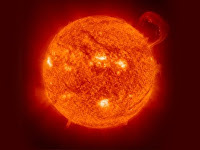 -The diameter of the sun is 864,000 which is 2 x 432,000. 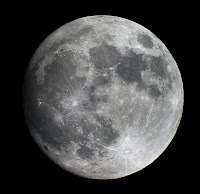 -4,320 divided by 2 = 2160 which is the diameter of the moon. -666 is the number of the beast according to the bible. 6 x 6 x 6 = 216 x 2 = 432. -432 square = 186,624 which is the speed of light. -A manufacturer of golf balls once did a test to find the ideal number of dimples to put on golf balls. It turned out that balls with 432 dimples went farther than the rest. Thanks for the Mojo Nike! 12 x 2 x 12 x 5 x 2 x 5,000 x 50 x 5 x 2 x 12 x 3 x 8 x 2 x 2 x 3 = 24,883,200,000,000. -The diameter of the earth is 7,920 miles and when multiplied by one of Plato's values for pi (864/275) the product is 24,883.2 miles. No first century Christian would have hidden these "Sacred Numbers" in a gospel. Only a Pythagorean, Gnostic or Nazarene would have had the knowledge and expertise to do so. Luke 23:26, ". . . they seized. . . Simon . . . and they laid the cross on him, and made him carry it behind Jesus." Luke 23:33: ". . . they crucified (him) there with the criminals . . ."
Luke's original words were "clarified" before they reached the King James Version. At Luke 23:33, "him" was changed to "Jesus." The earliest texts show that Luke's original word was "him," leaving it grammatically more likely that it was Simon who was crucified not, Jesus. In Acts 7:15-16: Luke "switched" the names. According to Genesis 50:13, Jacob was buried at Hebron, not Shechem. According to Genesis 33:19, it was Jacob, not Abraham, who bought the tomb at Shechem. Luke "switched" the names, Jacob and Abraham, putting the wrong man in "the tomb." 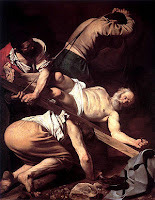 He "switched" the cross from Jesus to Simon: " . . . they seized Simon . . . laid the cross on him, made him carry it behind Jesus . . . crucified him there with the criminals." 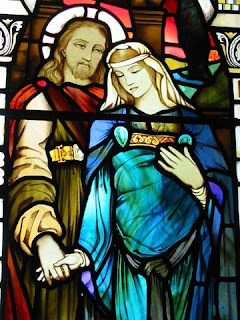 Luke even reported that Jesus and Mary Magdalene were married and had a daughter. He was coding the truth in order to pass the knowledge without it being detected. It is truly amazing how this has been covered up by the same blood that implemented the bible in the first place. Even today it's to much for the heads of most people and the only people who seem fascinated by the subject are mathematicians, conspiracy theorist, and other intellectuals in this field of study. The powers that be, these elite are still using the Bible the same way they did 2000 years ago. Controlling the masses in order to keep the elite wealthy and the rest us working for them in one way or the other. Not much has changed mentally for a lot of people sense that time, for we as American's live in "A nation under God". Why do you think that is? Control, money and power. Until we awaken our minds to the truth, we will persist to live in the dark. That's what they want, a good society that does what their told, and works hard for their money. Attain the knowledge you rightfully deserve, and that's rightfully yours. Attain the truth in order to attain your attainable mind.